Earlier this month I reported on the release of new, free 30m DEM and Dynamic Land Cover data for Australia. 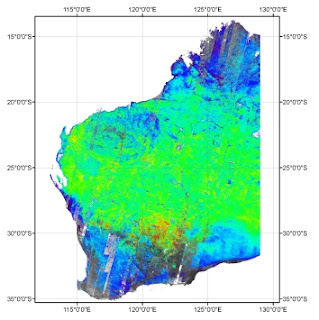 And now there is new free imagery for Western Australia that will be of great use for mining and exploration industry: Satellite ASTER Geoscience Map of Western Australia. The project was a collaboration between the Department of Mines and Petroleum’s (DMP) Geological Survey of Western Australia (GSWA) and the Centre for Three Dimensional Mineral Mapping Centre of Excellence (C3DMM) and was led by the Commonwealth Scientific and Industrial Research Organisation’s (CSIRO). 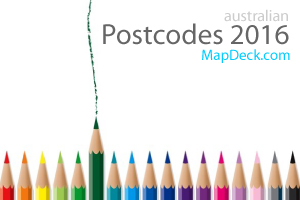 The State ASTER maps have been carved into 1:1,000,000 mapsheets with individual file sizes reduced to ~100 MB each and can be downloaded for free in JPG2000 GeoTIFF format from CSIRO. 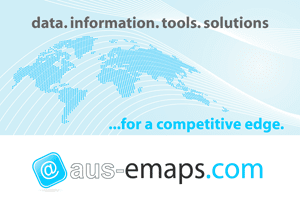 The complete data set (~500 Gigabytes), is available from Geological Survey Western Australia product sales.